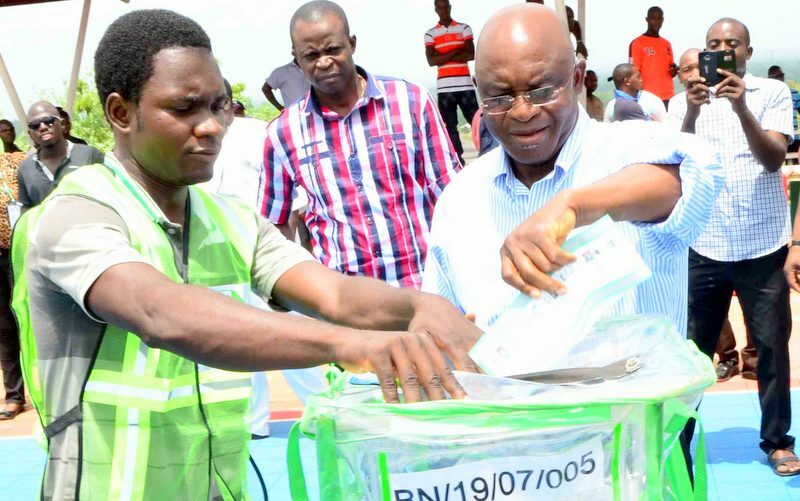 Former Senate President David Mark has faulted Saturday’s nullification of his election by the Court of Appeal, saying he would win if the election holds 100 times. Mr. Mark, who has been a senator since the return of democracy in 1999, was sacked after an election tribunal upheld his election. A Court of Appeal, sitting in Makurdi, Benue State, faulted the decision of the Independent National Electoral Commission to declare Mr. Mark, the candidate of the Peoples Democratic Party, winner of the March 28 senatorial election in Benue south. But Mr. Mark says he has the support of the Idoma people of Benue state who he represents at the senate. In a statement issued on his behalf by his spokesperson, Paul Mumeh, Mr. Mark said he won the election, and that he had done “more than enough” for his people. “I won the election clean and clear. If we go back to the polls 100 times, I will still win convincingly,” the statement read. “Whatever the situation may be, one thing I know is that my people are solidly behind me. They also appreciate the fact that I have done more than enough to lift up Idoma nation to a position of eminence in the contemporary political history of Nigeria,” he said. Mr. Mark’s purported victory was challenged by the candidate of the All Progressives Congress, Daniel Onjeh. Among other claims, the APC candidate said INEC declared the result of the election while collation was ongoing. That claim was earlier dismissed by the Benue State National and State Assembly Election Petitions Tribunal, which upheld Mr. Mark’s victory. The appeal court set aside that decision.